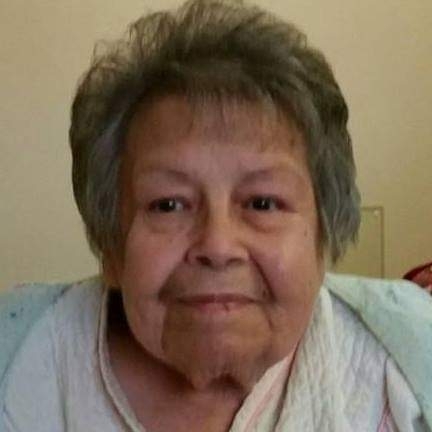 Eva Leona Hardwick, age 81 of Gladstone passed away on Monday, March 25, 2019 at the Christian Park Village in Escanaba. Eva was born January 22, 1938 in Manistique, the daughter of Roy and Clara (Sebeck) Hardwick. She graduated from Holy Name Catholic High School in 1956. She worked for many years as a bookkeeper with the Hannahville Indian Community. She was a member of the Sault Ste. Marie Tribe of Chippewa Indians and the Eagles Club. She enjoyed knitting and crocheting, watching wildlife from her yard,animals, bingo. watching older television shows and spending time with her family and grandchildren. Eva is survived by her son, Duane Hardwick of Gladstone; grandchildren, Bryan Hardwick of St. Louis, MO, Nathan Hardwick of Little Rock, AR and Kaitlyn Hardwick of Gladstone; brothers, Russel (Karen) Hardwick of Rockwood, MI, Fred (Mary) Nelson, Jr. of Beulah, MI; sisters, Arlene (Michael) of Severville, TN, Betty Cayer of Escanaba and Joann Nelson of Oshkosh, WI; brother-in-law, Lee Wellman of Escanaba and numerous nieces and nephews. She was preceded in death by her parents, brothers Leroy and Ronald Hardwick, sister, Karen Wellman and step-father, Fred Nelson, Sr. The family will receive friends on Monday, April 1 from 3:00 PM to 6:00 PM at the Gardens of Rest Cemetery. Memorial services will follow at 6:00 PM. Duane and family I know how special you were to your Mom, a great lady with a big heart, I have many fond memories, work, watching the Packers win a Superbowl, seeing her again at the village. She will be missed, I’m keeping you and your family in my prayers.